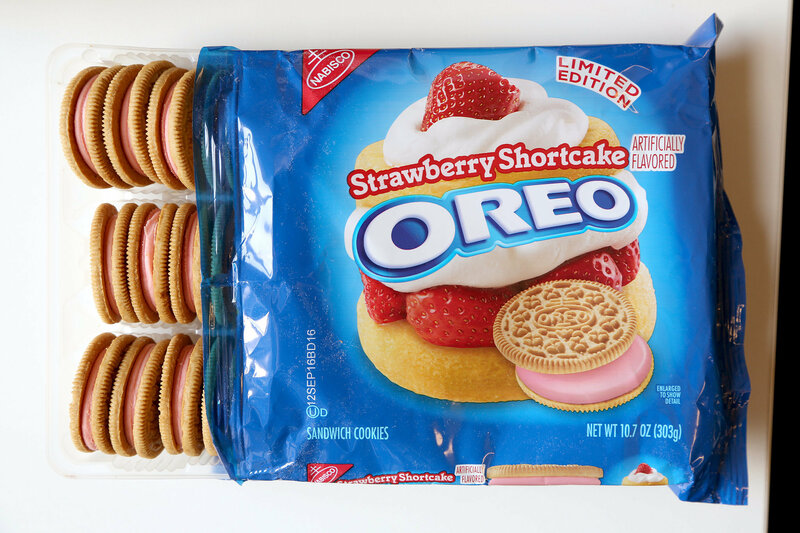 Strawberry Shortcake Oreos, a Wal-Mart exclusive, will hit shelves April 4, but we got the first taste! The smell is overwhelmingly fake, but don’t let that deter you. Commenters called the flavor “very strawberry-ish,” almost exactly similar to Strawberry Kit Kats or Captain Crunch Berry cereal. 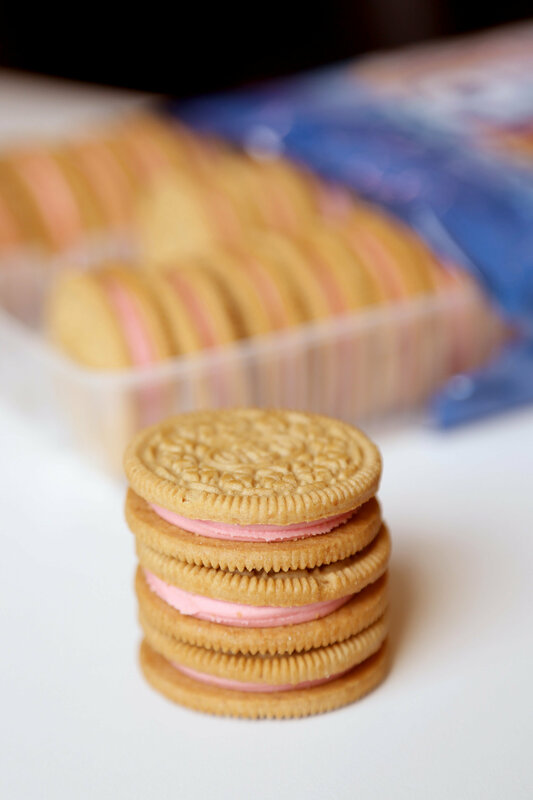 Tasters noticed that, texture-wise, the creme is a little grittier than the original Oreo. The biggest complaint was that the cookies are almost too sweet, like strawberry syrup. Overall, we enjoyed, but at the end of the day, we are vying for Cotton Candy Oreos to come back out of the flavor vault next.